Hurrah! You finally got your first event gig. This is a time to celebrate! Or is it? Well you'd partially be right if you'd say that it was a cause for celebration. But the fact remains that you still have a lot to do. You need to organize the event space, create buzz around the event to get people excited and on board to attend, manage ticket sales and more now. It's work, but this time it has a sense of achievement attached. 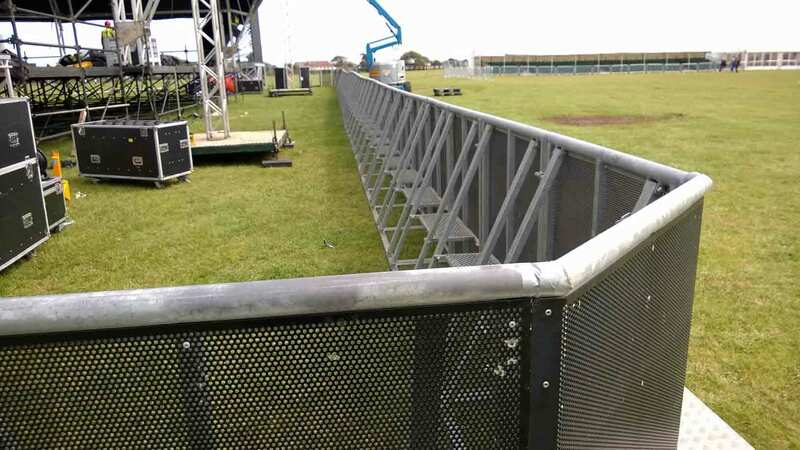 You also need to have security for the event in the form of temporary fencing. 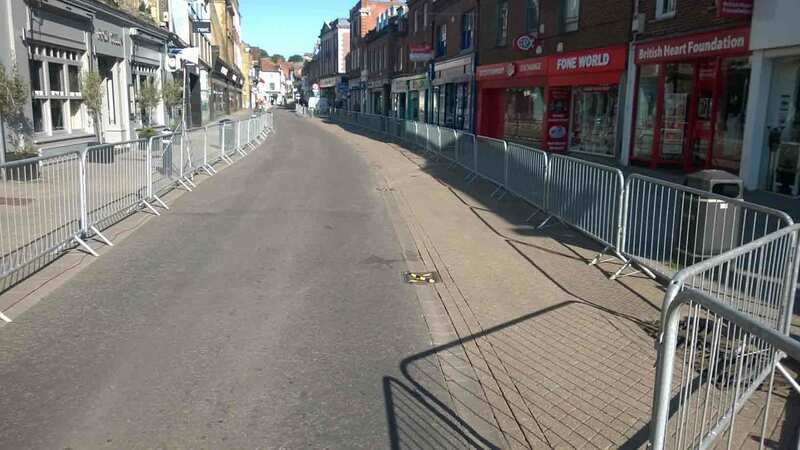 Temporary fencing are incredibly important for demarcation and not just for security purposes. They can help brand you and your sponsors for attendees to remember. This is one of the benefits of temporary fencing that is perhaps most apparent. When you hire temporary fencing, understand that you paid for it and can utilize it to the fullest. It allows you and your sponsors to have their logos and branding printed and displayed in bright colours to be prominent for attendees. It is even better if your event is getting media coverage, either for TV or social media through live video. You make your event and your presence known to people watching at home when you do this. Your sponsors will also appreciate the efforts you put in to promote their brand through colourful branded flyers and banners with their logos and names on your temporary fencing you hired. This branding also gives a professional and established appearance, and you and your sponsors get great publicity through the images and videos captured and recorded at the events and posted on social media platforms. It allows you to get great engagement from your audience and guests. Above all, it establishes credibility. At Fence Hire Southern, you'll never complain about ill maintained temporary fencing. 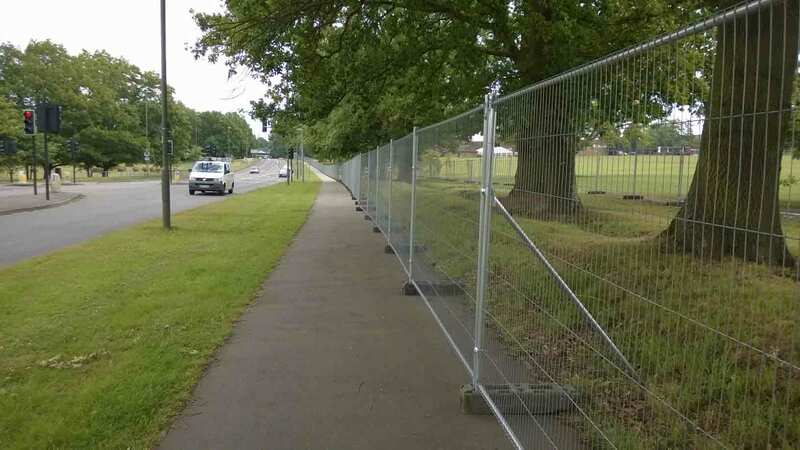 This is because we have a dedicated team of professionals to maintain our temporary fencing out on hire. But there are times when making an area of the event more pleasant to the eye is needed. 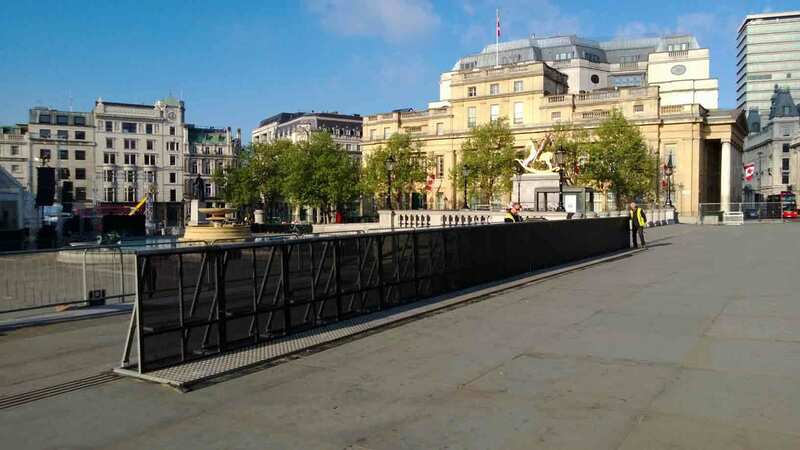 Yet, a possible advantage of using the temporary fencing for branding your event and your sponsors is that you get to cover up long runs with colour which is more pleasing on the eyes of attendees. You get to maintain your professional look and decorum when you have vibrant and colourful ads and banners covering temporary fencing. The colourful banners and advertisements help garner excitement for your event, making it a visual pleasure. 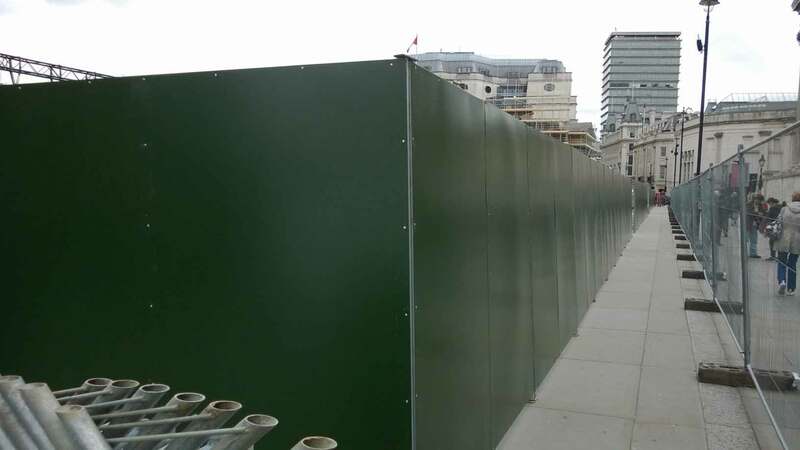 You are able to install the advertisement banners on temporary fencing using cable ties and metal eyelets in the banners themselves. 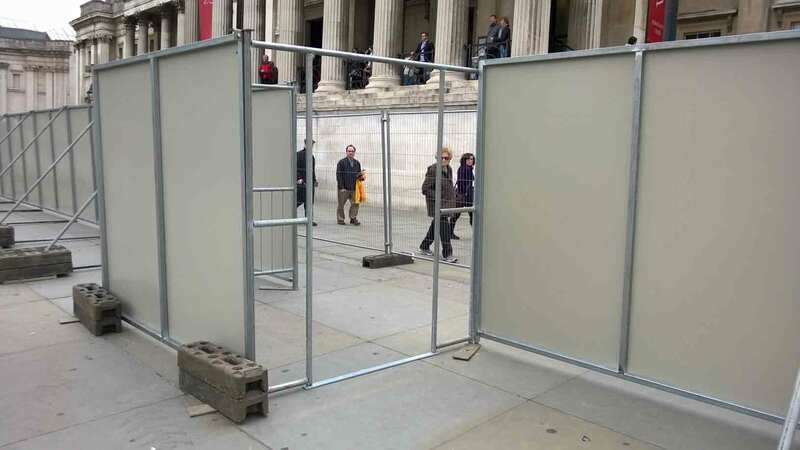 If branding some of your temporary fencing on hire is something you require. Make sure when you hire temporary fencing you allow for extra bracing so the temporary fencing can be supported from the wind.